Yesterday we served 1300 hungry people, including 60 families, who are all sleeping in the woods with no cover. The temp dropped to 6°C last night and we are already worried about the dangerous winter weather that's right around the corner. 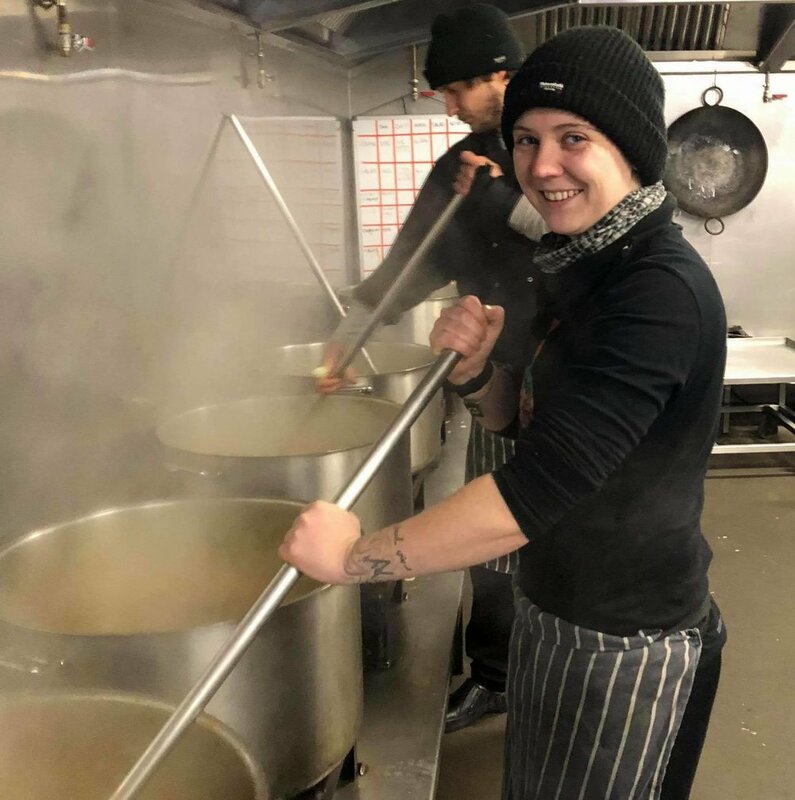 We will soon be serving over 2000 meals a day, as numbers in Calais and Dunkirk are on the rise and we need your help to keep going! Please share & donate what you can! Refugee Community Kitchen and our awesome sister orgs. continue to dig deep to help people, people who are not only displaced and far from home but who are being tortured with non-sensical acts of disruption by our governments. In the last few days, hundreds of people, including many families, unattended minors and hundreds of young men have-with no notice or information- been rounded up and loaded by force into coaches and driven away, away from the small communities they rely on for survival. Incredibly, those coaches then drove round in circles, for the whole day only to come back to Dunkirk to dump them in the same place they took them from. We understand the difficulties the local authority have with no government support but this behaviour resembles old school fascist actions designed only with the intention being of breaking people's moral. Today the people are not broken. Today they are not abandoned. We continue to come together, to pool our energy and resources and will carry on supporting these people and hundreds of others with good food love, humanity, fairness today and tomorrow and there on after! Big thank you for all the love and support, especially to all the volunteers on the ground for adapting, chopping, cooking and providing unwavering service through tough times. 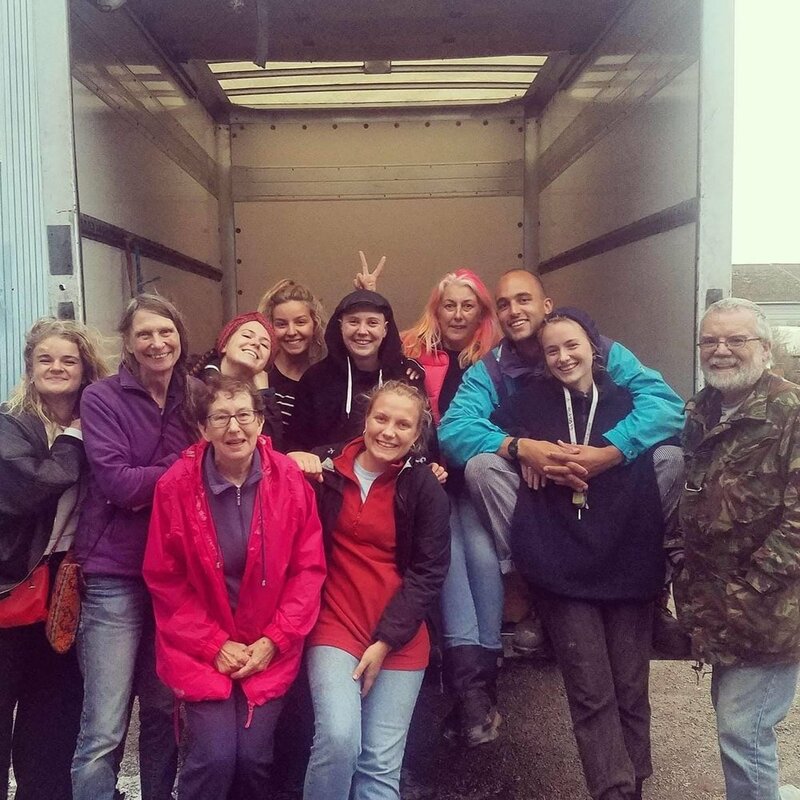 Big big big thanks for Bean for well over a year of amazing service in Calais (and over two years of supporting refugees). Thank you for your level-headed, dedicated, humble leadership- you kept our kitchen in top notch standards. We will miss you!!! So many amazing people have passed through Refugee Community Kitchen- we love you all! We just wanted to say thank you to the wonderful people at Riverside Refugee Community Kitchen who have tirelessly shown up at Cardiff Farmers' Markets every Sunday for over two years. It's efforts like these that have made it possible for us to serve over 2.2 million hearty, delicious meals to people in need over the last two years. So occasionally I have the pleasure of giving the total amount raised for Refugee Community Kitchen at our stall at the Cardiff Riverside Market since August 2016. Every penny raised is transferred over and to date we have raised £15,316.60. That's 30,600 meals for refugees. Thank you so much for all your donations and please keep supporting us as sadly the need is as great as ever.